Arizona State Representative Bob Thorpe has snuck in a bill that would limit who could serve in the Arizona Legislature. The Flagstaff Republican used a strike everything maneuver to scrap a bill that would have provided funding for DPS officers who live in remote areas. 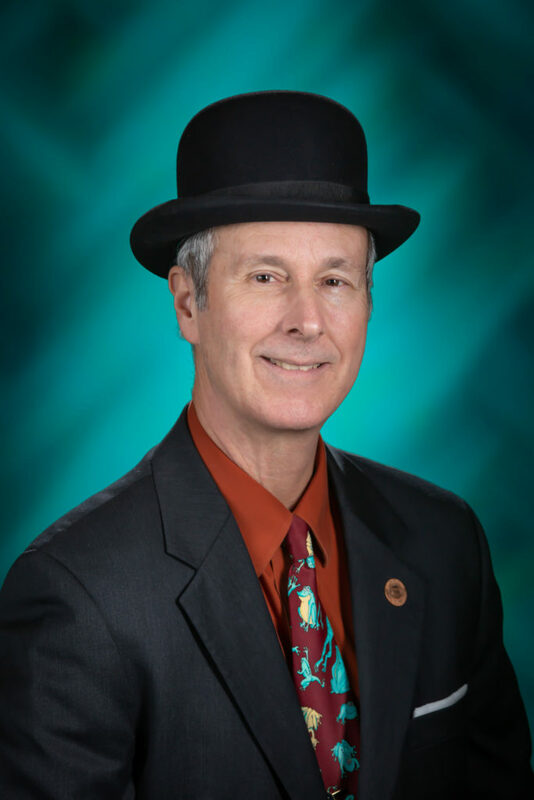 Thorpe’s “striker” bill states that anyone seeking to serve in the Arizona Legislature must physically be domiciled in the jurisdiction for 75% of the year preceding the filing date to seek the office. In other words, 274 days before a candidate files for the legislature, he/she must be physically living in their address within the district. This is bad public policy and anyone who holds a decent understanding of constitutional law knows physical domicile requirements are absurd and won’t hold up in court. Imagine a teacher from Prescott who returns home to Legislative District 1 from an overseas mission trip where she taught English for a year and was able to vote as an overseas registered Prescott voter. Although she has been registered to vote for three plus years and meets the residency requirements to serve, Thorpe’s law would automatically disqualified her to serve in the Legislature. Several years ago, my friend Jonathan Paton ran for the legislature in southern Arizona’s LD-30. Jonathan had also volunteered for the Army Reserves in 1999. In 2006, Uncle Sam finally came calling activating 2nd Lt. Paton for duty to Iraq. He left in August for six months but still won re-election and returned to the Legislature in February, 2007. Leading up to his activation, Jonathan had to prepare and train and that took him outside of his district. The same is the case for many military reservists who balance serving in the military against serving in the legislature. Last week, Thorpe’s amendment to HB2269 received a do pass recommendation from the Senate Appropriations Committee with a 6-3 vote. Unfortunately, the bill advanced and is scheduled for further action and more votes in the House and Senate. There is still time to contact your state senator and representatives and tell them to vote against Thorpe’s amendment to HB2269. The legislation is bad policy and it disenfranchises and disqualifies highly qualified people from seeking a seat in the Arizona Legislature. Call your legislators today and tell them vote NO on Thorpe’s striker amendment to HB2269. (PHOENIX) – Tuesday, conservative Republican Marcus Kelley announced his candidacy for the State House in legislative district 20. 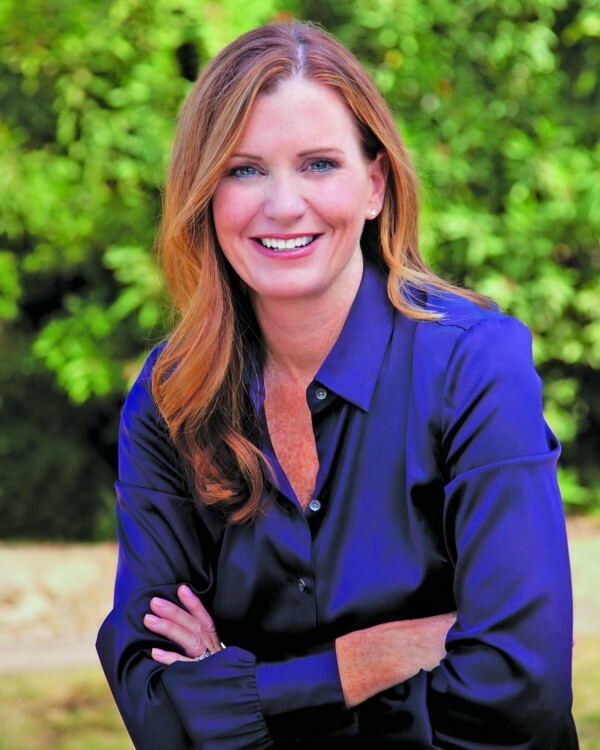 Kelley, an attorney and long-time conservative activist, filed paperwork with the Secretary of State’s office to represent the district that spans the north of the Phoenix metropolitan area, including parts of Glendale, in one of the district’s two house seats. Both seats will likely become open as Representatives Anthony Kern and Paul Boyer vie for the Senate seat in the Republican Primary. Kelley who currently works as an attorney with the law firm of Goldman and Zwillinger, has also worked in state and federal government including for former State Senate President Andy Biggs and Attorney General Mark Brnovich. 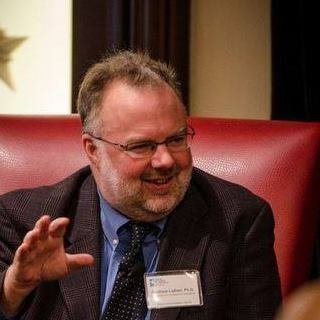 Marcus has worked for the American Conservative Union and later for the Republican Study Committee when then-Congressman Mike Pence was the Chairman. He graduated from the University of Arizona and the Cardozo School of Law. Kelley also serves on the governing board of a local charter school. “I am seeking a seat in the Arizona House to continue bringing a conservative voice to public policy matters,” Kelley stated. “My years of experience coupled with my track record of consistent conservatism on the issues will represent the constituents of LD-20 well,” he asserted. On the issues, Kelley is a strong social and fiscal conservative. He is pledged to reducing taxes and spending in a balanced and prioritized budget. He is solidly pro-life, pro-traditional marriage, and is an outspoken supporter of the Second Amendment. Kelley and his wife, Nickie, have been married for more than 13 years and have two children who attend a local charter school. 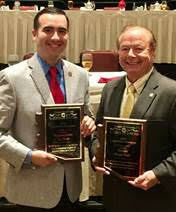 STATE CAPITOL, PHOENIX – House Speaker Pro Tempore T.J. Shope (R-8) and Senator Frank Pratt (R-8) last week were named 2017 Legislative Champions by the League of Arizona Cities and Towns. The Legislative Champions award is given to legislators to honor their outstanding public service and dedication to local governance. The League of Arizona Cities and Towns is a membership-based organization comprised of municipalities throughout Arizona and provides a bridge from local cities and towns to the state legislature. If you’re a Sunday Square Off viewer, you probably saw this political “thank you” ad air several times during the show. There was no “paid for” disclaimer but the ad was produced by the American Federation for Children. The ad is airing to support and thank Governor Doug Ducey and the Arizona Legislature for passing and signing Senator Debbie Lesko’s Empowerment Scholarship Account (ESA) legislation. The law now expands school choice (although capped) throughout Arizona. During final debate, opponents (primarily the Arizona Education Association) whipped up cataclysmic hysteria over the bill. Casual observers would have thought Arizona public education was about to be nuked into oblivion. School choice advocates were probably caught off guard by the rapid rabid response. Thus, the American Federation for Children realizing the need to recover the narrative and refocus the debate on children and parental choice, injected itself into the debate. Anyone watching the warmup for Arizona’s 2018 election cycle can see that next year’s top political issue will be education. And at the center of that debate, stand Arizona teachers. The data proves that Arizona teachers deserve to paid more and if that means unclogging the pipes and removing the administrative clogs to get more money into the classroom, then so be it. As the Arizona Legislature wraps up the budget and 2017 session, Governor Ducey and lawmakers are poised at an advantage in controlling the message heading into 2018. How they address direct delivery of tax dollars into the classroom, handing out teacher raises and elevating respect for the teaching profession will establish the battlefield for next year’s election. Republicans have the opportunity to own and make 2018 the “Year of the Teacher.” If they seize the day, Arizona taxpayers, parents, teachers and children will win. Arizona lawmakers passed legislation tonight that will phase in near universal eligibility for ESA program. This will start with public school students in kindergarten and 1st grade, 6th grade and 9th grade in 2017-18, and then add grades from the on ramps (K,1,2 and 6,7 and 9-10 in year 2 and the next year K,1,2,3 and 6,7,8,9,10,11). The bill will also increase academic transparency and improve administration of the program. Governor Doug Ducey’s stalwart support of expanding options proved crucial to this victory. Huge kudos to the bill sponsor Senator Lesko and Rep. Allen as well as the members who took a tough vote in the face of determined opposition. Groups including the American Federation for Children, Americans for Prosperity Arizona, the Arizona Catholic Conference, the Arizona Chamber, the Center for Arizona Policy, Ed Choice, Excel in Ed and the Goldwater Institute all made vital contributions. Senator Worsley also deserves recognition as someone who played the role of honest broker in crafting a compromise that a winning coalition in each chamber supported. We’d all like to live in a world where there was no need to compromise, but that world is not the one we find ourselves in. Bob Stump: Why is Airbnb funding a group attacking Arizona Republicans? All you Airbnb fans take heed! The company has decided to inject itself into Arizona politics by funneling dark money against Republicans. In this letter, former Arizona Corporation Commissioner Bob Stump hits back with an email to Arizona legislators. It is rare for me to contact you as a private citizen and former colleague. I believe this issue is important enough to merit it. An extremist far-left organization, Checks and Balances, is active again in Arizona. Yet again, it is attacking elected Republicans. I fully expect Republican members of the House and Senate to be next. What exactly is this “work”? Smearing, suing or harassing Arizona Republican officeholders such as Arizona Attorney General Mark Brnovich, members of the Arizona Corporation Commission — including four Commission chairs — and yours truly. In an act of pure malice, Checks and Balances published my mother’s private mobile number on the Internet. At a cost of hundreds of thousands of taxpayer dollars and staff time, and with the help of Democratic activist Dan Barr, Checks and Balances sued the Arizona Corporation Commission in an attempt to break the chain of custody of my phone and publish private text messages to my family and friends. Despite Checks and Balances’ conspiratorial fantasies, I was vindicated in court: Two judges determined that nothing retrieved from my phone met the definition of a public document. Undeterred by losing in court every single time, Checks and Balances has taken to the pages of the Arizona Capitol Times to attack Arizona Corporation Commission Chair Tom Forese and Commission legal counsel Tim LaSota, who defended me in court. Until recently, SolarCity, the nation’s largest solar rooftop leasing company, sponsored Checks and Balances. SolarCity’s aim was to attack and sue sitting regulators nationwide, in an attempt to alter regulatory outcomes and thereby enhance SolarCity’s bottom line. SolarCity was shamed into withdrawing their support for Checks and Balances. It is past time for Airbnb to follow SolarCity’s lead and cease funding a mercenary band of character assassins which exists to intimidate citizens at the behest of its corporate sponsors. Airbnb’s CEO, Brian Chesky, ignored my letter to him, written when I was a sitting member of the Arizona Corporation Commission. Perhaps he will be more responsive to you. I would suggest you contact Mr. Chesky and his lobbying team and ask why Airbnb is funding an unsavory group that sues and smears Arizona Republicans. Thank you for your attention to this matter. And thank you for your service to our great state. With ten more days remaining until the August 30th primary election let’s focus on Legislative District 28 (LD 28). Republican primary voters have a real chance to nominate a successful, well-educated female candidate to serve on their behalf in one of two legislative House seats for the next two years. Maria Syms is the only candidate running in LD28 with the potential to win in November and serve honorably for the State of Arizona. Please use your two votes to push her through the Republican primary. Ken Bowers, Jr. is the final candidate running for the Arizona House. It is quite difficult to know too much about who he is and where he stands on the issues because he has also decided to ignore candidate surveys issues by different associations and groups representing causes or industries throughout Arizona. He seems to only care about reforming Arizona’s correctional system and hasn’t given much thought to the broader issues facing Arizona’s future. 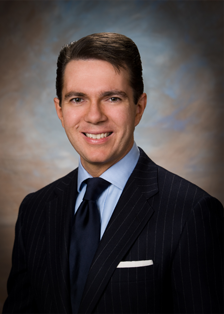 Alberto Gutier, III is an active PC in LD28. Unfortunately, he has not taken the time to fill out any candidate surveys or set up a website sharing his viewpoints on the issues. Nice guys typically don’t finish first in a competitive legislative race. Mary Hamway is an uber liberal Republican In Name Only (RINO) candidate who is a retread from the 2014 election cycle. Hamway has spent so much time as a Paradise Valley town councilmember raising taxes and cutting funding for cops that she single-handedly jeopardizes a prosperous future for Arizona. Since Mary lacks the spine to vote publicly she and several of her other Big Government crony councilmembers rely on closed door executive sessions so they don’t have to truly make a public statement of town council matters. Hamway talks out of both sides of her mouth if you can bear to listen to her speak. Hamway has been an arduous proponent of Medicaid expansion and common core over the past several years. Hamway self-funded her 2014 loser campaign to the tune of nearly $100,000. After she lost to Bolick, she had her husband make a $500 campaign contribution to liberal pro-choice Democrat Eric Meyer. It is not surprising Hamway has been endorsed by the former Mayor of Paradise Valley, Scott Le Marr, who once served on the Planned Parenthood board. Matt Morales is a moderate Republican precinct committeeman (PC) in LD28 who has been a registered lobbyist on behalf of the vaping and gaming industries. Need we highlight any more of his resume to illustrate that he is not a conservative choice. Morales likes to tell his fellow Republican voters how he encouraged Kate McGee in 2010 to use her maiden name “Brophy” to get elected to the Arizona House of Representatives. In 2014, Morales boasted of being Adam Driggs’ campaign manager. At the same time Morales worked on an Independent Expenditure (IE) to benefit only McGee and Driggs in the general election. Considering there was one additional Republican on the ballot for the other House seat this speaks volumes to Morales’ lack of character in electing Republicans to two House seats. One last point: it is laughable that Morales’ campaign signs say “conservative” and “personal freedom.” He answered the Arizona Voter Guide’s survey which is sponsored by Center for Arizona Policy as supportive of a living Constitution. Fortunately, LD28 has Maria Syms as their only conservative choice! She has taken the time to thoughtfully share her views on the issues in support or opposition against many policy issues facing Arizona. Syms has served honorably on her short time on the Paradise Valley Town Council. There aren’t many city elected officials who don’t vote in lockstep to vote for a tax increase, but Syms is one who has encouraged thoughtful conversation while holding the line on tax increases. If she wasn’t running for the Legislature she would be a perfect addition to Arizona’s Justice system. Her past job titles include: Assistant U.S. Attorney, Senior Adviser to Arizona Attorney General Mark Brnovich plus she is a Mom of three children spanning the school choice spectrum so she fully grasps education and opportunity for all! When you vote by early ballot, or vote in person on August 30th please only vote for Syms! She is the real deal and the only choice to represent LD28 honorably. Earlier this year, embattled House Speaker David Gowan had to pay back $12,000 in expenditures after audits found he had requested mileage reimbursements for travel unrelated to state business, had claimed mileage while using a state vehicle, or had been granted a per diem for days when he was not doing state work. 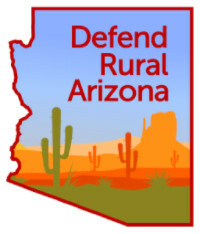 Subsequent press investigations found that a substantial amount of his allegedly “official” travel was taken to areas within Congressional District 1, and questions remain as to the extent of his attempts to use state resources to subsidize campaign travel.For this reason Defend Rural Arizona issued a request for the Speaker’s travel records on March 24. DRA still has not received any files from the speaker or his office. The only communication we have received is confirmation from May 5 that our request had been received and would be processed. Under the Arizona Public Records law, A.R.S. § 39-121.01(D)(1), “The custodian of such records shall promptly furnish such copies, printouts or photographs.” Failing to furnish requested information for more than two months does not seem to fit with the definition of “prompt” disclosure. A copy of the original records request can be viewed here, while a copy of the response received from the House Republican Caucus Press Secretary can be viewed here. They say an elephant never forgets. This Republican certainly doesn’t but sometimes it takes an incident to help recall. The massive fire in Gilbert recently stoked my memory about one of our local politicians who tried to take advantage of a serious public safety threat. Back in 2005, Rural Metro notified the Town of Gilbert that they were ceasing operations in Gilbert because it was becoming too expensive to service the town due to the numerous county islands. That provoked a political fight between Gilbert and the county islanders. In early 2006, county islander and State Representative Andy Biggs jumped feet first into the fight by sponsoring legislation allowing his fellow islanders to form a special fire district that would also pay back the Town of Gilbert for use of their municipal fire service. There was only one problem. The town of Gilbert was not going to recover the full cost of providing that service – an additional $5 million! Gilbert taxpayers like me would have had to pay the difference and subsidize all the folks in the county islands who were receiving Town of Gilbert services. To add insult to injury, we would have had to pay the start up costs for a year and a half for Biggs’ special district before we even saw any reimbursement for our up front costs. The Town of Gilbert decided to sue based on the grounds that Biggs’ law was specially catered for his county islanders. After Gilbert filed the suit, Andy Biggs snuck in another special amendment that would force Gilbert residents to pay the legal fees in lawsuits against the formation of his special fire district. It was written specifically to apply to the Town of Gilbert. In the first round of legal battles, a judge saw through the special legislation and shot down Biggs’ special law. Unfortunately that the same judge made us pay for the legal costs in stopping Biggs’ unconstitutional law. It ended up costing us over $292 thousand. The Maricopa County Board of Supervisors, under Don Stapley’s lead, filed an appeal against the lower court’s decision but that case also ended up losing in court. In it’s decision, the Arizona Court of Appeals stated that Andy Biggs’ law failed to be written in a constitutional manner. This battle over Biggs’ expensive unconstitutional fire district became so heated that it spilled over as an issue in the 2006 elections. Biggs was challenged by a Gilbert resident but ended up winning reelection because most voters thought the issue was settled and other issues dominated. But not this voter. Fast forward to 2016 and Andy Biggs is now running for Congress in my district. Ten years may have passed and the memories of some voters may have faded but I won’t be voting for Andy Biggs. He’s proven himself time and time again to be the ultimate career politician who’s only interested in one thing – what’s best for Andy Biggs. It might seem like an eternity in politics but this Gilbert Republican won’t easily forget what’s been seared into memory of how another politician divided a community to serve his own personal interests. Last month, the Arizona House of Representatives passed a consumer finance bill that contained little-noticed provisions inserted by my colleagues that abolish the toxic lingering effects of payday loans once and for all in Arizona. It was a wise move, as Arizona is the only state where certain loopholes are used due to the lack of other legal lending options available in the state, such as installment loans. The consumer finance legislation in question, which carries these critical provisions, is the Arizona Flexible Credit Act. This act will establish a realistic pathway to serve those lacking access to viable, legal and safe credit options for the first time in Arizona, and will further help consumers rebuild their credit scores and profiles. It permits loans from $500 to $2,500, which must be paid in equal monthly payments over a term of up to 24 months. Research in other states shows that the overwhelming majority of these types of installment loans are paid off in approximately six months. The maximum monthly interest rate is comparable to existing title loans at 15-17 percent; however, much like existing title lending in Arizona, the heated marketplace between lenders will drive down rates. For Arizona’s working middle class, there is an unmet need for these types of loans, which are not offered by traditional banks and credit unions. Under the proposal, qualified entities can apply for licenses to offer flexible credit loans if they meet certain criteria of solvency and legitimacy as determined and overseen by the state Department of Financial Institutions , as it should be. The public policy is sound. My colleagues in the Arizona House did tremendous work, quietly in some cases, inserting major amendments to this legislation last month on the House Floor with little fanfare. The bill, SB 1316, faces a vote in the Senate in the coming days, and I am hopeful that the governor signs it quickly. Arizonans can win with this long-overdue legislation.